This 36 in. x 36 in. Double Threshold Corner Shower Base in White is designed to fit 36 in. x 36 in. corner showers. 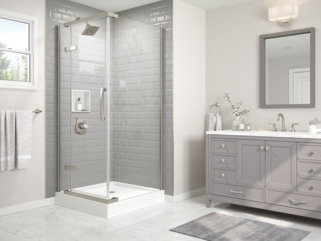 Offering style and design, this bright white shower base matches porcelain finishes. The high gloss, acrylic surface is easy to clean and resists mold and mildew. The shower base is reinforced for durability. 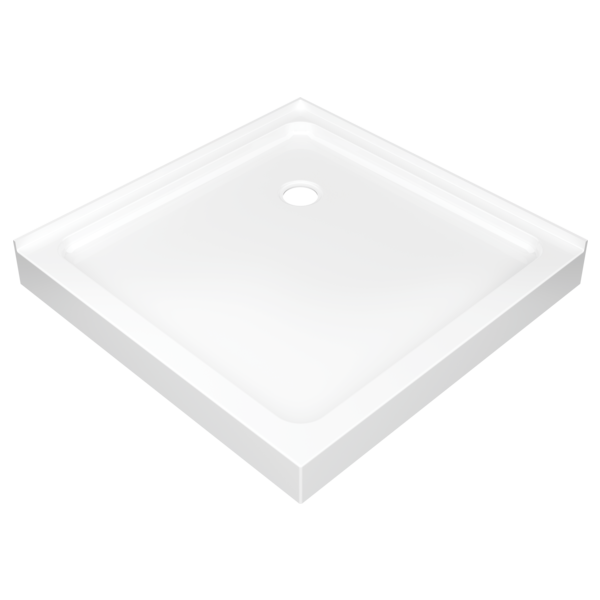 I'm looking for the shower wall it that I can use with this (B710912-3636-WH) shower base, does the 38x38 kit with our do you have a 36x36 for this base? Also I am using the B912912-3636-SS frameless shower enclosure... Thank you! Can you use the 36&rdquo;x36&rdquo; base with a different glass company? Or do you make any other colors such as black or oil rubbed bronze? 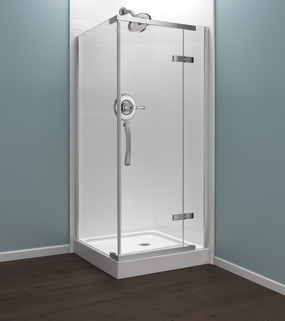 is there a delta 36x36 shower base with corner drain that fits an alcove shower configuration? this 36x36 shower base appears to install as a corner shower with glass door and wall on the non-corner sides. 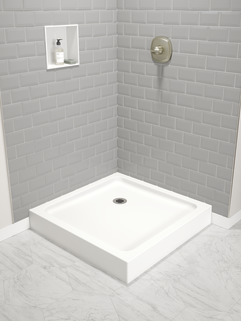 the 36x36 shower base with the center drain appears to install with the alcove wall and sides set. I'm looking for a 36x36 shower base with a corner drain that works with the alcove walls. Can this product be used? Does Delta make a 36&quot;x36&quot; Double Threshold Shower Pan with a Center Drain? We're remodeling a basement bathroom and the drain is currently in the center of the shower.